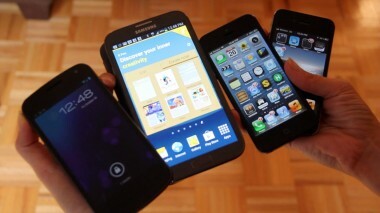 Which of these phones has NFC? When Samsung first introduced a sandwich-sized smartphone called the Galaxy Note in February, it was received with skepticism from people who prefer thinner, smaller phones. 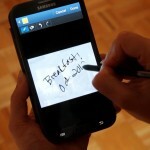 Now, with 10 million Galaxy Notes sold worldwide, Samsung has taken the next step with the Samsung Galaxy Note II. This 4G LTE-compatible smartphone has an even larger screen than the first Note, but also has a slimmer, narrower body and a brand-new Android operating system. It’s still too big for a smartphone. I say this while acknowledging that it’s a well-made device, and that other consumers may be more comfortable with a large phone. I admittedly was sucked in by the brilliant, 5.5-inch display for shopping online, checking emails and reading articles. 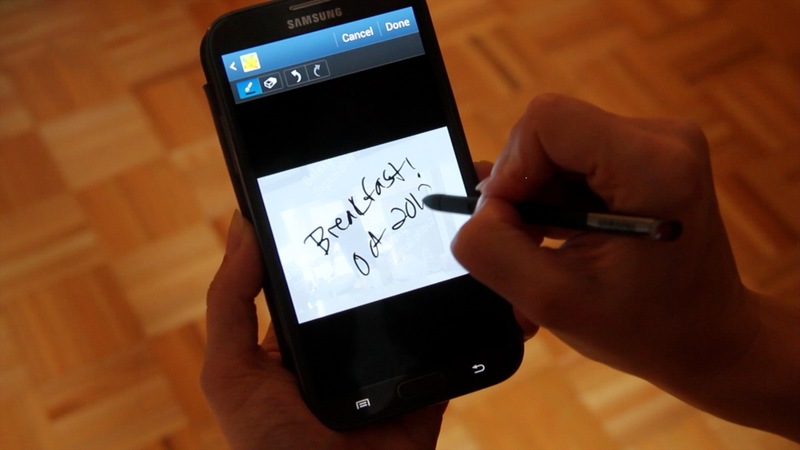 I enjoyed using Samsung’s redesigned “S Pen” stylus for writing what Samsung calls “S Notes” and clipping Web images. The Note II also has a new feature called Air View, which shows an enlarged view of an email, photo or video when you hover the tip of the stylus just over the content you’re trying to see. And the battery, which offers 24 percent more juice than the first Note, lasted me a full day and into the next morning, which is more than I can say for my iPhone. But, after testing it over the past week and a half, the awkwardness that came with carrying such a large, “notice me” phone outweighed the benefits of it, for me. 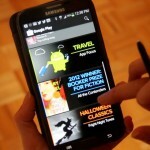 The Note II officially launched in the U.S. last week, and is available through all four major U.S. carriers — AT&T, Sprint, T-Mobile and Verizon Wireless — plus U.S. Cellular. Almost all of the carriers are charging $300 for the device with a two-year contract. T-Mobile is doing something a little different: It’s selling the Note II for $250 with 20 consecutive months of $20 payments, or for $370 after a $50 mail-in rebate, also with a two-year agreement. The Note II runs on a speedy quad-core processor. It has two gigabytes of internal RAM, and comes with 16GB of built-in storage, plus a microSD card slot for up to 64GB of additional storage. The phone builds upon the features that were already in the first Note, and borrows some features from Samsung’s Galaxy S III smartphone. 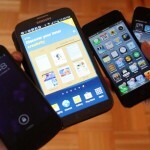 The cameras, for example, are the same eight-megapixel rear camera and 1.9-megapixel front camera as the Galaxy S III, but on the Note II, there are some advanced photo settings and more ways to view and organize your photos. The Note II, which comes in white and titanium gray, measures about six inches by three inches, and is .37-inch thick. It weighs just over six ounces. Its rounded edges add to its overall sleek look. Samsung has opted to use a combination of physical and touch-friendly buttons on the bottom of the Note II, which I liked, for the most part, though it’s hard not to accidentally hit the “back” button when dislodging the stylus. The large HD display shows pictures, videos and Web sites with amazing color, detail and clarity. At times I got so caught up looking at Facebook photos, or scrolling Twitter or ordering items through the Amazon app, that I stopped paying attention to what was going on around me, even when I was out in public. 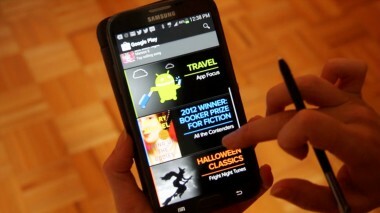 The phone runs on the latest version of Google’s Android operating system, 4.1 Jelly Bean. This includes Google Now, a Siri-like personal-assistant function, and more colorful, comprehensive calendar notifications, which were so big on the Note II’s display that it would be impossible to miss a meeting reminder. There are two home-screen modes users can choose from. Basic mode shows the conventional Android layout, littered with apps and widgets, which I think can be confusing for non-Android users. Easy mode shows a simplified home screen, with favorite apps and settings. The browser includes a welcome “pop-up” option. This allows you to click on a Web link, whether from an email or another app, and view the new Web page in a small, separate window that appears beside the app you’re in. The Note II is technically a 4G LTE-compatible device, but whether you can access that 4G or LTE depends on the wireless carrier. I tested the Note II on T-Mobile’s and Sprint’s wireless networks. Unfortunately, I wasn’t able to get my hands on Note II phones that run on Verizon’s or AT&T’s LTE networks. Call quality on the phone was very good, even when I was wearing headphones. Speakerphone worked especially well. The biggest drawback with calling on this phone isn’t the sound; it’s the size. 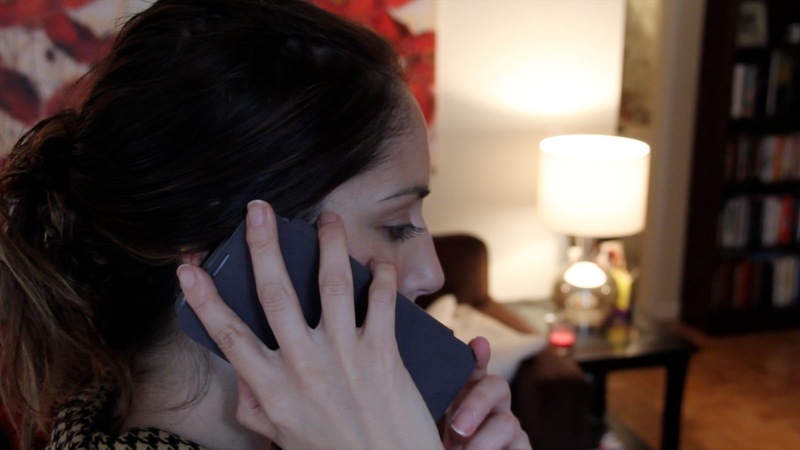 The Note II felt uncomfortably large pressed against my ear and face, with my hand stretched just to grip it. And here’s the thing: It’s not just during calls that the phone feels like it’s meant for people the size of LeBron James, who is 6’8″ (and part of Samsung’s marketing for the phone). With the Note, Samsung has been trying to offer a hybrid device, a “phablet” if you will, that lets you carry just one gadget instead of a phone and a tablet. But for me it just didn’t split the difference well. When I listened to music on it at the gym — something I do regularly with my iPhone — the Note II started to feel like a responsibility instead of a running accessory. Using the excellent Google Maps app on such a large screen was great. But one afternoon, while stopped at a street corner as I navigated downtown Manhattan, two people pointed at the phone. My friends gawked at it when I pulled the phone out of my bag after dinner one night. 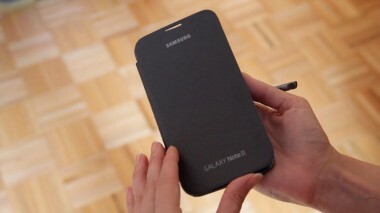 Those who like the idea of a larger phone won’t be displeased with the Samsung Galaxy Note II, a fine specimen of a smartphone. For me, it felt like I was trying to jam fine art into a tiny apartment. It’s beautiful, but it just didn’t fit.